Welcome back, here is another update of what is going on in the back offices of FastKlean Contract Cleaning Company London. After a health and safety inspection, the service officers of a large building in Bethnal Green invited us for a quote to perform a variety of contract cleaning services. 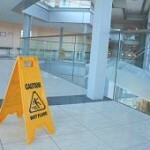 Our professional cleaners are required for office cleaning, carpet cleaning and window cleaning services. The building also holds business parties and even weddings in its halls and we have been offered to perform after party cleaning. Our professional cleaners London are fully trained and experienced in a variety of cleaning services. They use state of the art cleaning equipment and non-toxic cleaning products to deliver outstanding results every time. We at FastKlean are very proud of what we have achieved over the years and the strong team of contract cleaners we have built. We are incredibly excited about these big opportunities that are presenting themselves lately and the new challenges they bring. This is due to hard work, team spirit and the determination to deliver the high quality, professional cleaning services we promise our clients.